For Mac Click Here to download Bridge Baron Teacher. All lessons are purchased from with in the program it self. 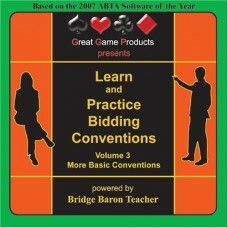 Learn Conventions allows you to practice each convention in Bridge Baron. LPBC teaches you six conventions in depth using the interactive Bridge Baron Teacher architecture, and allows you to practice these conventions as well. 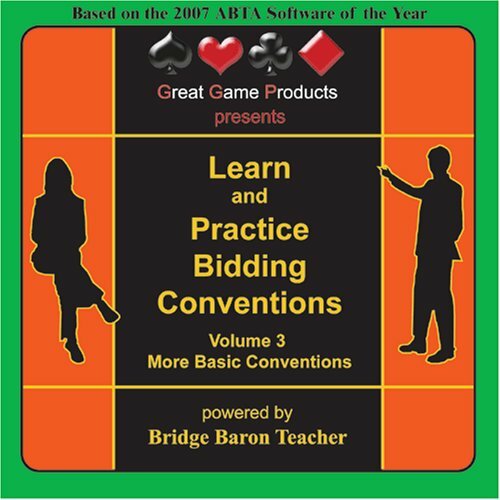 LPBC teaches you and allows you to practice responses and rebids for conventions, while Bridge Baron does not offer practice of responses and rebids for conventions. In LPBC, if you make an incorrect bid, the program usually explains to you what is wrong with that specific bid. In Bridge Baron, the program does not explain to you why a specific bid is incorrect.